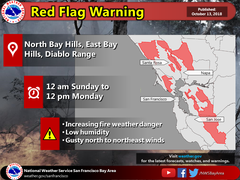 Red Flag Warning midnight on Saturday until noon on Monday for North Bay hills. PDT Monday. 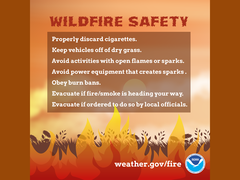 The Fire Weather Watch is no longer in effect. * AFFECTED AREA...Fire weather zones 507 and 511...The North Bay Mountains, East Bay Hills and Diablo Range. gusts up to 60 mph. strongest winds are most likely.